Shareholders in commodities trader Glencore have overwhelmingly approved its long-awaited $31 billion takeover of miner Xstrata, paving the way for one of the largest tie-ups in the sector to date. After nine months of tense negotiations, late-night talks and last-minute twists, the deal to create a mining and trading powerhouse is within Glencore's grasp - a personal victory for its biggest shareholder, key dealmaker and chief executive, Ivan Glasenberg, who will also lead the combined group. Xstrata's own investors are due to vote later on Tuesday in the Swiss town of Zug, at meetings beginning at 1300 GMT. They are also expected to support the tie-up, after Qatar - Xstrata's second-largest shareholder - said it would back the share offer. In what could be an embarrassing blow to Xstrata's board, however, investors could reject a separate 140 million pound ($223 million) "golden handcuffs" retention plan for Xstrata managers. Championed by the board as essential for delivering Xstrata's slew of major projects, the plan has been deeply unpopular with institutional shareholders. Xstrata is shifting to a period of development after a decade of acquisitions that made it the world's fourth-largest diversified miner, and so the projects are key to its prospects. The tie-up - long in the works, as Glasenberg and Xstrata counterpart Mick Davis held on-off talks for years - has been dragged back from the brink of collapse on more than one occasion since it was first proposed in February. Most recently in September, the deal seemed doomed before Glencore improved its bid at the last minute to woo Qatar's sovereign wealth fund. Qatar's support in a rare statement last week increased the chances the tie-up could be all but certain within days. That is, if a positive outcome at Tuesday's Swiss shareholder meetings is followed by approval from Europe's antitrust regulators, due to give their verdict by Thursday. The deal will also be a rare payday for London's investment bankers, lawyers and a host of other advisers, at a time when mega-mergers are few, and successful deals even rarer. They will reap some $200 million in fees. Glencore, majority-owned by its senior executive team, said 99.4 percent of voting shareholders supported the deal, after a swift vote during which no questions were asked. 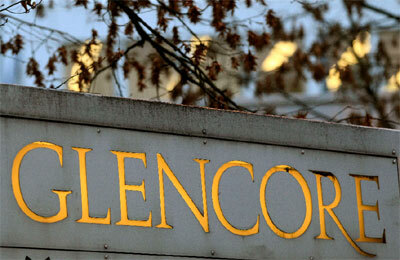 More Glencore shareholders opposed the name change - to Glencore Xstrata Plc - than the merger itself. Depending on the combined group's final weighting, Glencore Xstrata could be the 13th largest company in Britain's FTSE 100, representing more than 2 percent of the index. Though an unusually complex voting structure means a positive outcome from the Xstrata side is not guaranteed, analysts say the main question mark will be over the management retention package. A strong vote against the plan would be a blow for Xstrata's board, its outgoing chief executive, mining veteran Mick Davis, and for its chairman, John Bond, formerly of Vodafone and HSBC. Bond argued the company needed the plan to ensure key managers stay on after the tie-up. But the "golden handcuffs" have been lambasted by investors and risked sinking the tie-up, until a voting structure that had made the whole deal conditional on the pay plan was revised. Qatar said last week it would abstain on the issue of retention pay, increasing the chances that that vote will not pass. Glencore will also not vote its shares. Glencore, Xstrata's largest shareholder with a 34-percent stake, is offering 3.05 new shares for every Xstrata share. At 0930 GMT, the shares were trading at prices implying a ratio of almost 2.95, improving on Monday's close.